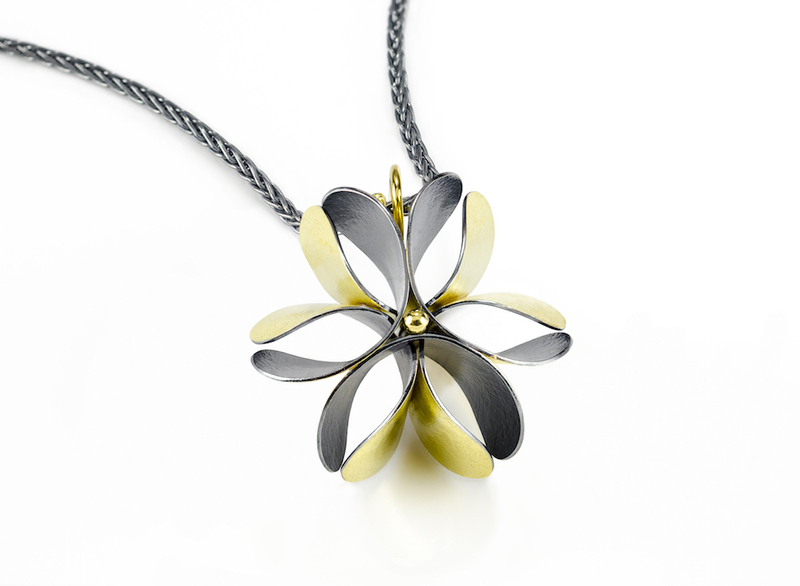 Jayne Redman is known for her unusual way of working with metal in three dimensions, often using multiples of the same shape to convey a single idea. Using nature as her inspiration she considers combinations of form and function, integrating mechanics with design and applying innovative engineering methods. 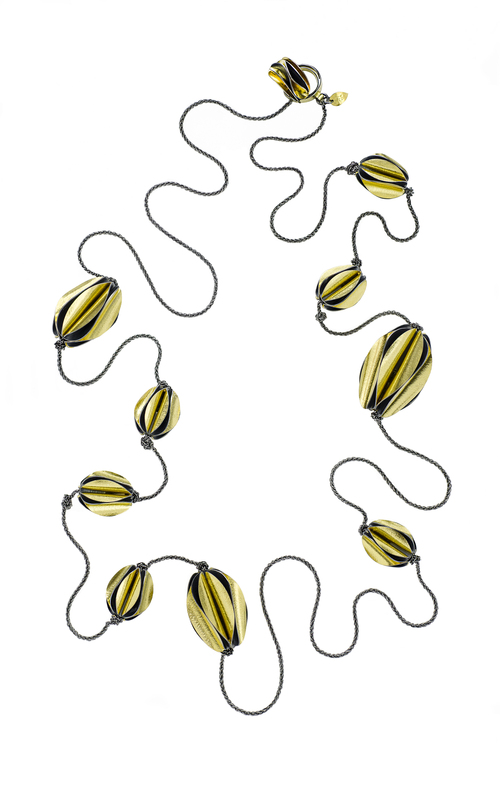 How petals are attached to each other can generate an idea for an assembly process. Studying the curve of a leaf can lead to a new forming technique. 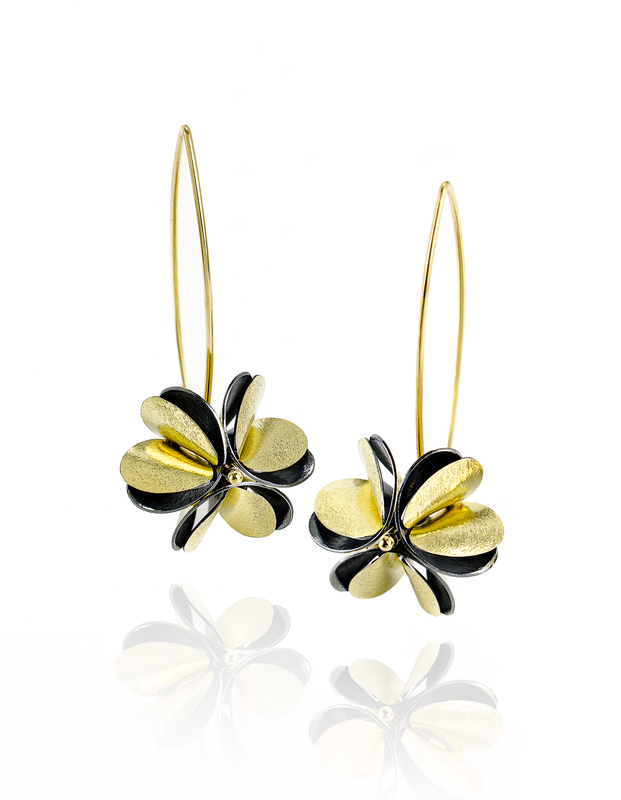 The graceful bend of a flower stem can become an ear wire design. 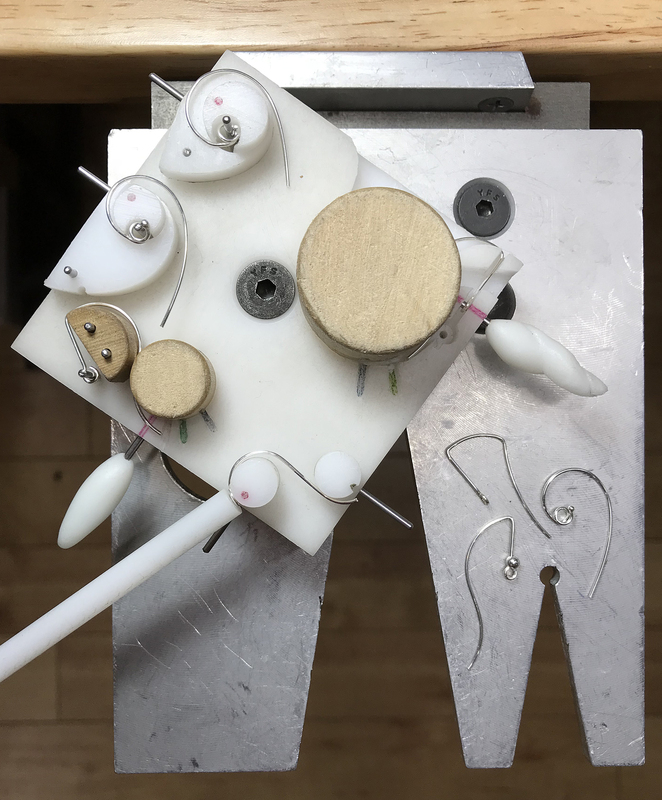 This workshop will teach you how to develop patterns for many of the engineering concepts that Jayne Redman works with in her jewelry. Jayne will take you through the design process from initial drawings to final prototypes and finished pieces. You will learn the principles behind centrally radiating forms, properly nested forms, spacing for slotted forms, using faux hinging, and tab construction. You will be working with cold connections as well as soldering techniques. 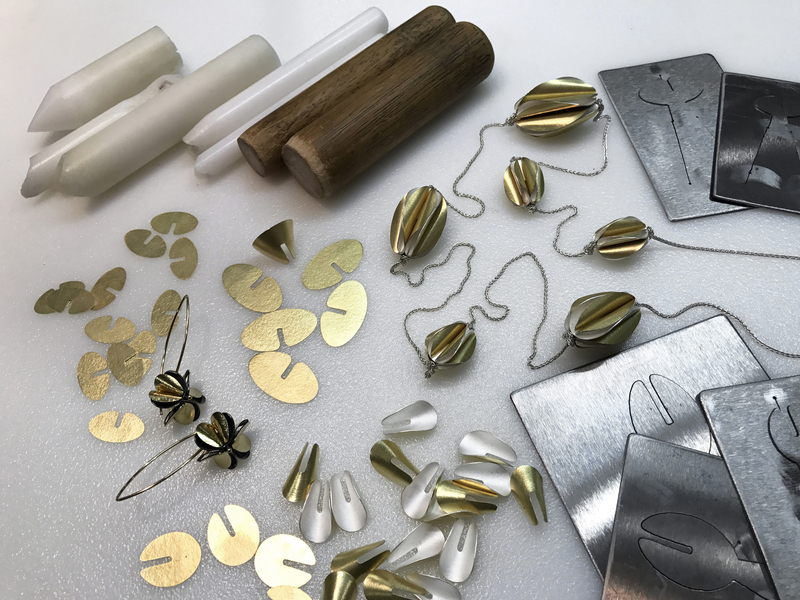 Making one piece blanking dies will give you the ability to quickly create multiples of the shapes you conceive in metal sheet, affording you the time to get lost in the design process and experiment with forming and assembling those shapes. Materials will be available for purchase. Jayne will supply her rotational bench pin for each student to use. They will be available for purchase at a special price at the end of the workshop. We will be using 1/32” tool steel for blanking dies that will cut up to 22 gauge sheet. 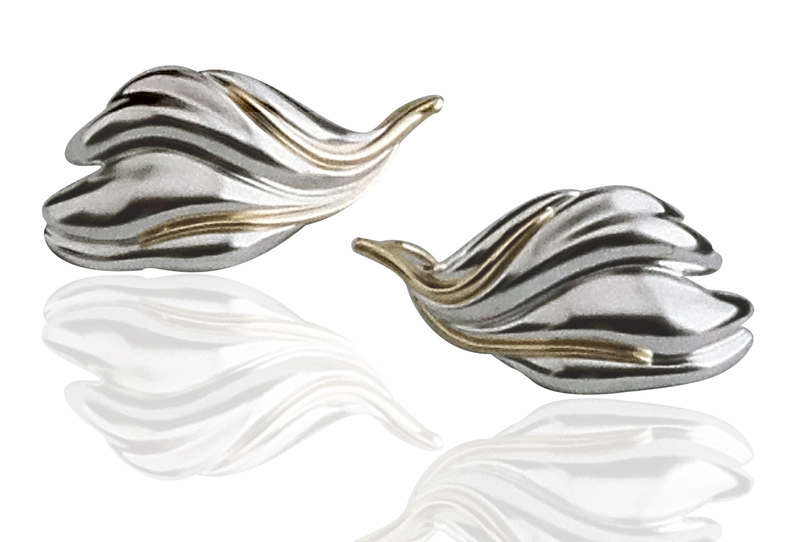 Bring 22 gauge or thinner sterling silver for finished pieces. If you have a project in mind that will require thicker metal bring it but know that you will be cutting out shapes by hand. 5” deep saw frame, #110133 – This is important!!! If your tool steel is longer than the saw frame you will not be able to cut out your die!! !